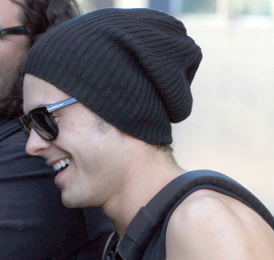 Zac Efron flaunted his muscular biceps while wearing a casual tank top on the L.A. set of upcoming film “The Paperboy” on January 28. The actor was joined on the set by his co-star Nicole Kidman, who had a platinum blonde wig, tiger print polo neck and skintight gold lame trousers as her costume. Meanwhile, Zac will appear with Taylor Swift on The Ellen DeGeneres Show on February 21. Is There A Possible Reconcilliation Between Jennifer Lopez And Marc Anthony?